Make 2018 the year you love your job. 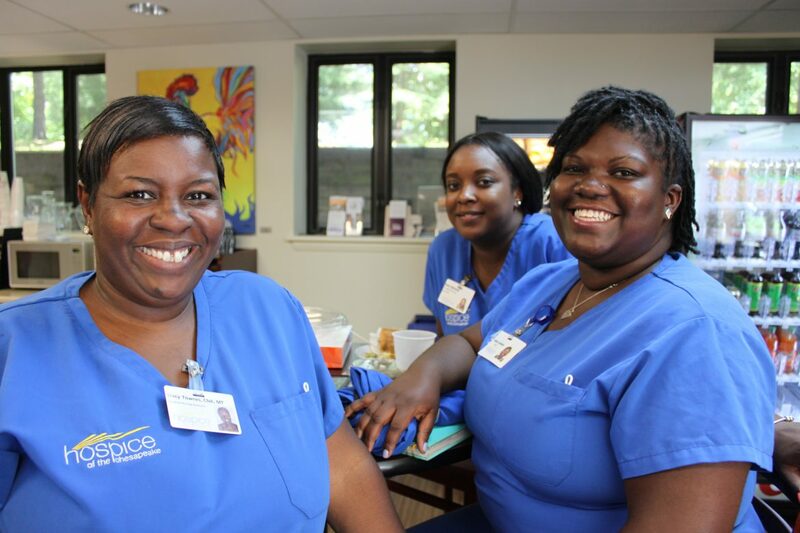 Choose a career that will make a difference and inspire others by attending one of four open house dates and apply in person for a number of health care positions with the Hospice of the Chesapeake team. The Winter 2018 Career Fair and Open House will take place from 2 to 6 p.m. Friday, Feb. 2, and 8 a.m. to noon Saturday, Feb. 3 at the nonprofit’s Prince George’s County office at 9500 Medical Center Drive, Suite 250 in Largo, Maryland, and from 2:30 to 6:30 p.m. Tuesday, Feb. 6, and 8 a.m. to noon Saturday, Feb. 10 at its Anne Arundel County office on the John & Cathy Belcher Campus, 90 Ritchie Highway, Pasadena, Maryland. During each open house, healthcare professionals can meet with clinical managers and other team members. Bring your resume and be ready to interview for a position while you’re there. A leader in advanced illness care, Hospice of the Chesapeake’s work impacts the quality of life of people who are seriously ill as well as those who love them. It seeks extraordinary individuals who are technically skilled, possess superior interpersonal skills and wish to enthusiastically contribute to a culture of caring and compassion. Available positions include RN Case Managers, RN Hospital Liaisons, Director of Clinical Services, Nurse Practitioner and more. To attend, please RSVP by emailing recruitment@hospicechesapeake.org or calling or texting 443-223-9144. Interested, but unable to attend the fair? Submit your online application at www.hospicechesapeake.org/careers.